A cultural centre in the middle of Appiano: the Lanser House in St. Michael. The family Lanser was the owner of the manor until the 18th century. The building dates back to the 16th century. Some elements like the vault, the roof and the bay are late Gothic. 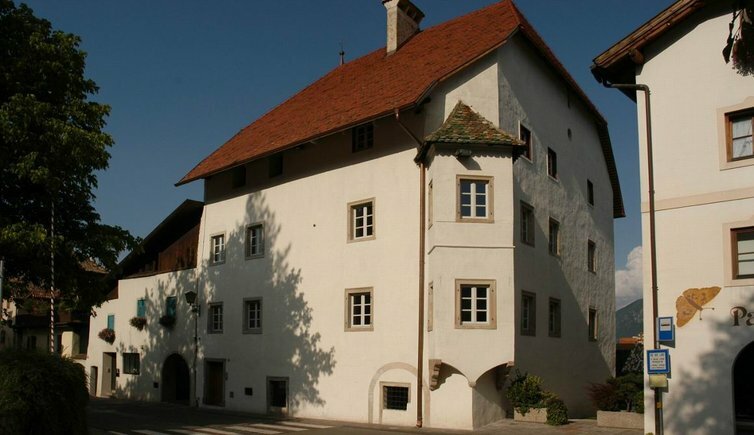 The municipality of Eppan, the today‘s owner, did some renovation in 2003. During these works some frescos were discovered and can now be admired. Nowadays the building functions as a touristical, cultural and social centre. In the Lanser House often take place exhibitions or events. In one of the rooms there is located a Steinway grand piano for concerts. A 5,000 sqm park can be accessed by residents and guests. The Lanser House is well worth a visit.